A former student of the École de la Chambre Syndicale de la Couture Parisienne, Elie Top is now a firm fixture on the Paris fashion scene, and debuted his fine jewelry brand, Maison Elie Top, earlier this year. After leaving college in 1997, Elie became an assistant to Yves Saint Laurent, and when Alber Elbaz assumed the role of ready-to-wear designer at the revered French fashion house in 1998, he suggested that Mr Top create jewelry and accessories for the Rive Gauche line. Then in 2001, when Alber Elbaz was appointed artistic director at Lanvin, he asked Elie to join him, where the duo have had a very close creative relationship ever since. 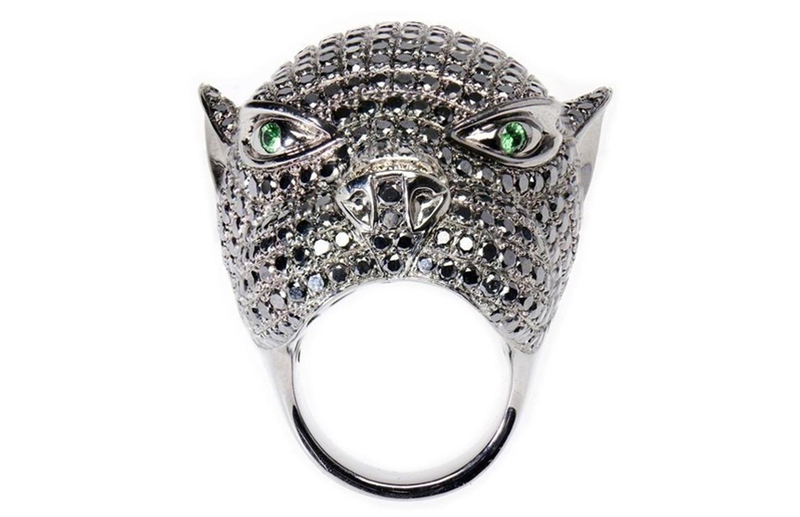 Elie Top continues to create costume pieces for Lanvin (although it will be interesting to see if his association with the house continues following Elbaz’s recent shock departure), but his own line of fine jewelry enables him to explore other more meaningful facets of design. His background in fashion has given him a fresh perspective on the way pieces may be worn, exemplified by his first collection, Mécaniques Célestes, which includes intricate geometrically shaped jewelry that transforms from day to night. The inspiration behind this debut is the idea of duality, as there is something hidden in each piece. Pendants can be open or closed to reveal diamond-clad mechanics or turned to show either a gold or silver side when closed. The collection is available at Colette in Paris, or directly from Maison Elie Top, by appointment only (contact@elietop.com). Biochemist, antiquarian and certified gemologist Lydia Courteille describes her work as bijoux extraodinaires, and her bold, statement jewels have made her a favorite with the international fashion set and high-profile clients alike. 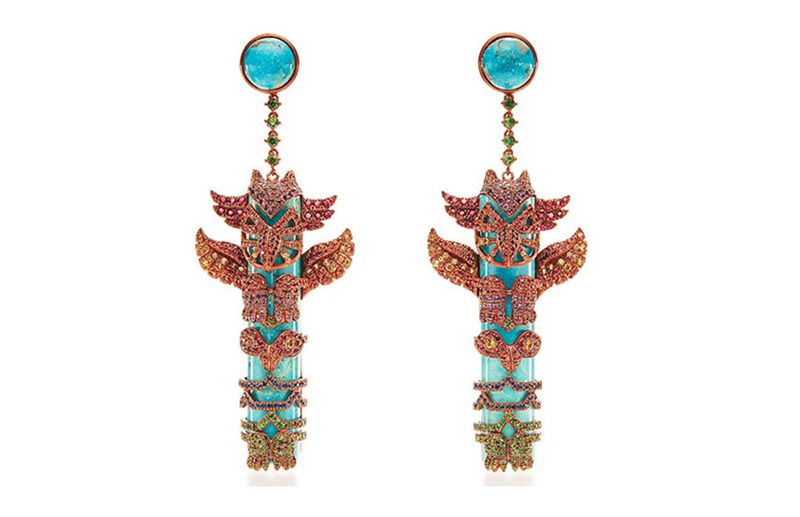 Her career in jewelry design began when she started redesigning the heirloom cameos of friends, and after gaining increased popularity in Paris and abroad, she launched her eponymous label with collections inspired by the Mexican gardens of Xochimilico and the Amazon jungle. Lydia Courteille has had a presence on Paris’ rue Saint Honoré for the past 30 years. Her jewelry can be seen in Woody Allen’s film Midnight in Paris, and has been featured in the campaign for Yves Saint Laurent’s perfume Opium. Her distinctive designs have also appeared on the catwalk, in shows for Carven, Alexis Mabille, Prada and Alexander McQueen for Givenchy. Lydia crafts fantastical creations inspired by nature’s mystical beauty, and uses color and gemstones to tell a unique story through her collections. For her latest limited-edition offering, Rainbow Warrior Prophecy, she took inspiration from the legends and myths of Native American tribes. The collection takes its name and vibrant colours from the legendary prediction made by the Arizona-based Hopi tribe that the souls of the world’s first men will return to earth as a rainbow-hued collective to teach people about love and worship. Visit the Lydia Courteille boutique at 231 Rue Saint Honoré, 75001 Paris, France or shop Lydia Courteille on Net-a-Porter. True global nomad Loree Rodkin designed the homes of rock stars and then became a talent manager, launching the careers of then-unknowns such as Brad Pitt and Sarah Jessica Parker, before settling into her third career as a fine jewelry designer. The attention to detail is what you first notice about the Chicago-born designer’s handmade couture pieces, which blur the distinction between modern and medieval. 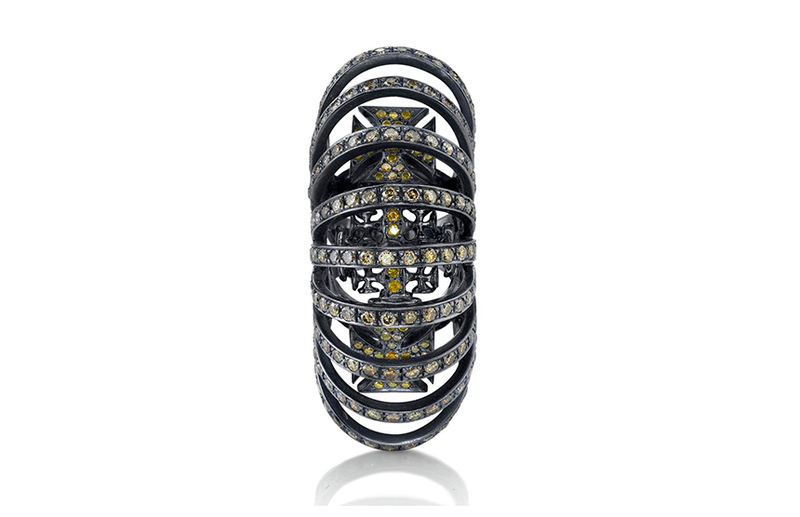 Each piece is handcrafted by old-world artisans that emulate Rodkin’s contemporary gothic style, engraving and embellishing all gold and platinum by hand. 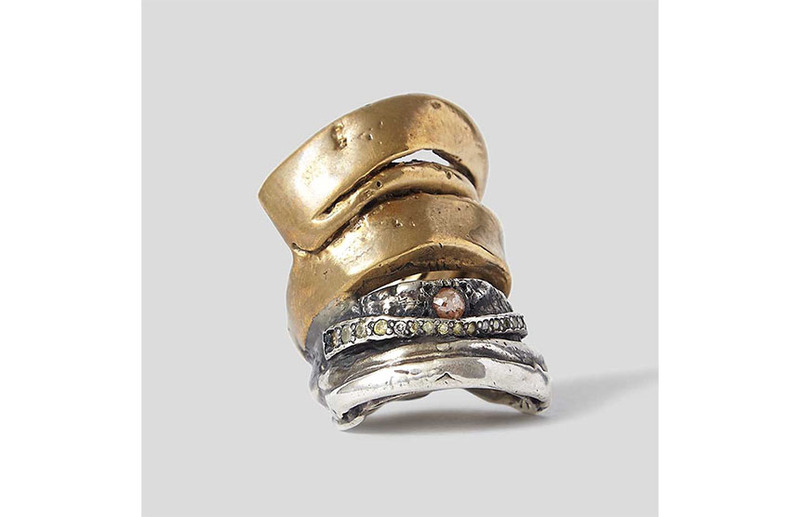 And her unique use of diamonds, platinum, gold and precious stones is inspired by her world travels. Loree’s forward thinking pieces are Hollywood royalty favorites, and she has also had the honor of designing First Lady Michelle Obama’s inaugural jewelry, which now resides in the permanent collection of the Smithsonian Institution in Washington DC. Last year, the designer collaborated with her long-time friend Michèle Lamy on a tribal inspired collection, Hunrod, launched at London’s Dover Street Market. Lamy, celebrated fashion figure as well as muse and inspiration to her husband Rick Owens, favors non-traditional pieces and organic materials, which form the basis of the pair’s design project.